Different custom papers – term papers, critical essays, research proposals, dissertations, and various essays – are prepared by Instantgrades.com at student-friendly rates. Once you give us an order on a particular paper, our team of experienced writers digs deep into research to come up with quality custom papers. Our professional writers have enough experience to understand your needs and the demands of such papers. Instantgrades.com produces papers that are well-researched, well-written, non-plagiarized, and fully-compliant with the instructions given on the orders. To appreciate the value of the quality of custom papers we produce, we have a wide variety of free essays online that can be scrutinized. 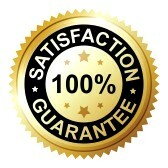 Once satisfied, do not hesitate to contact Instantgrades.com to seek more details, clarifications, or make an order. These custom papers are prepared at manageable rates, starting from USD $ 10 per page. Your journey to academic excellence has just started; you just need to make the right step.